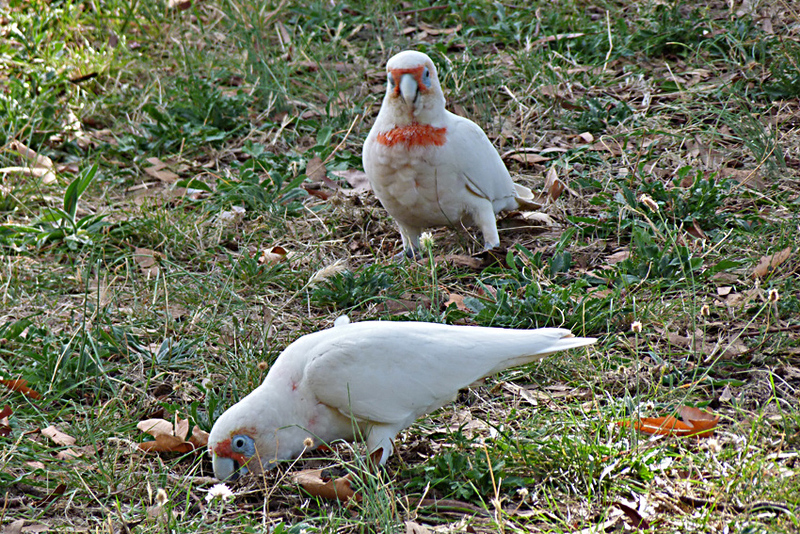 As I pull the SUV into the parking area I can hear the sound of cockatoos and corellas foraging in the recreation area just a cross the road. 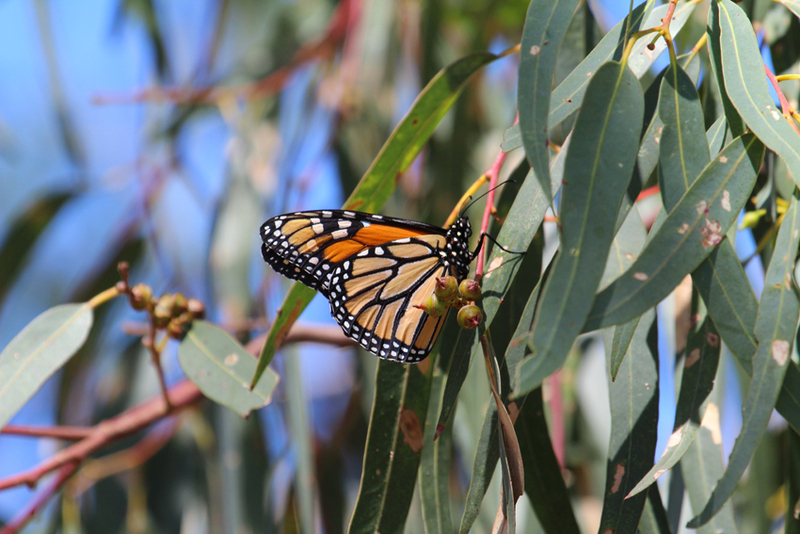 At the beginning of the walking trail several monarch butterflies are hovering around a stand of late flowering eucalypts. They are all part of a sudden surge of activity following recent morning showers; a welcome distraction after a long hot summer and a dry start to autumn. There are several marked trails that I can take from the park but today I am simply following the bitumen path along the river front to get some idea of the terrain and wildlife. 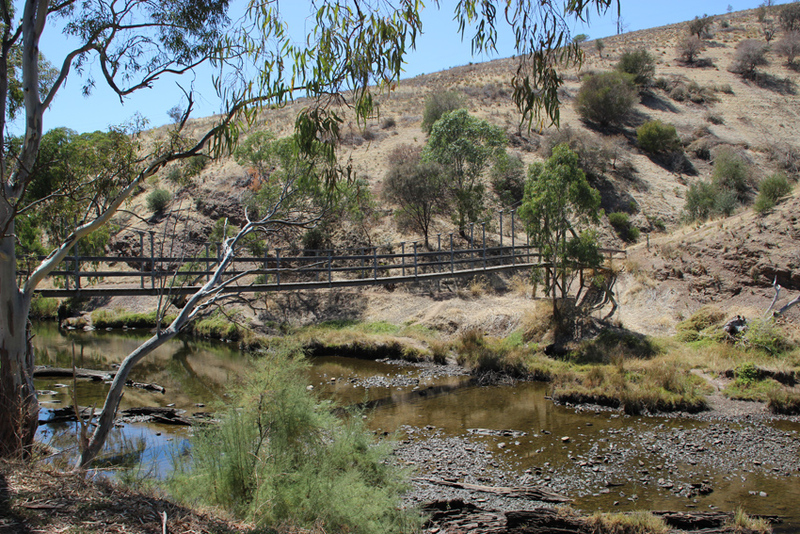 This side of the river is bordered by the little township of Old Noarlunga and the area is quite significant in terms of South Australian history. 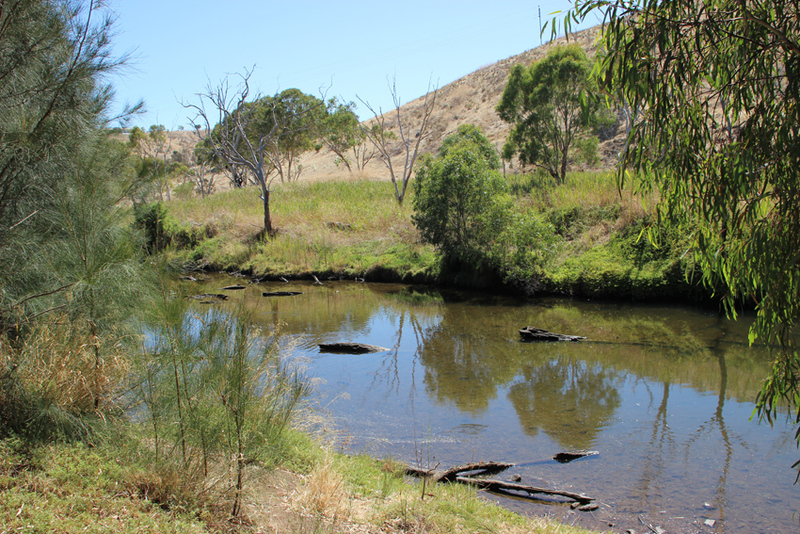 For thousands of years it was a meeting place for the Kaurna people who lived along the river banks in natural caves or dome shaped dwellings. Later, during the early years of European settlement the area was a rest stop for bullock trains and some of the timbers and bricks in the park are remnants from the old Horseshoe Inn that burnt down in 1987. On the far side of the river, the summer brown hills rise steeply and there is mixture of native scrub and cleared grazing land. A wood and cable bridge links the two banks and a small group of students appear to be carrying out some kind of environmental survey on the opposite bank. The river is at its lowest during this time of the year; a series of large pools linked by pebble strewn shallows where the water flows slowly. 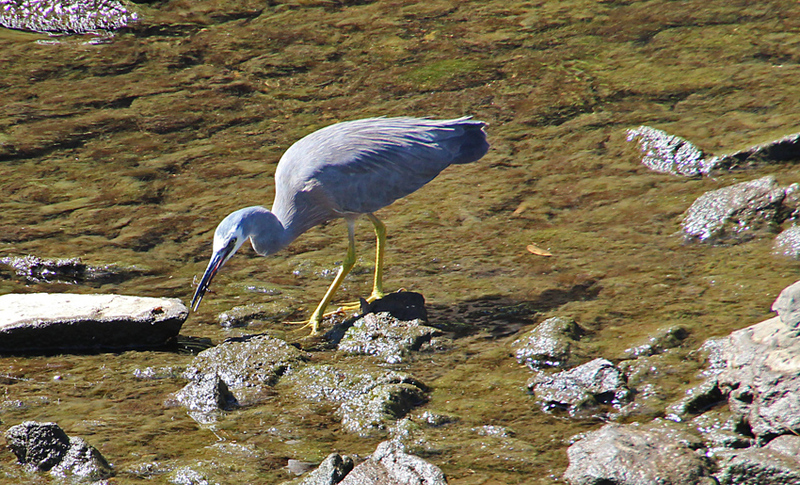 At the far end of one pool a white faced heron is hunting stealthily amongst the rocks. Every so often the bird jabs its long beak into the water to grab, what appears to be, some kind of large insect larvae. After a while I decide to rest on a large tree stump above one of the larger pools and simply watch the water. Near the reed beds I can make out the shapes of some sizeable bream cruising between the bank and several submerged logs in the middle of the river. At the end of the pool there are large black cormorants perched on branches that overhang the water. Surprise!!! 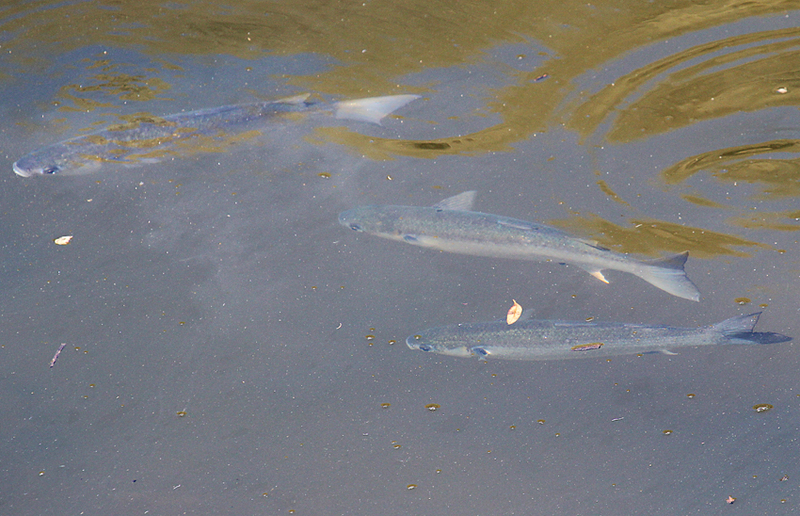 They are also watching the fish. 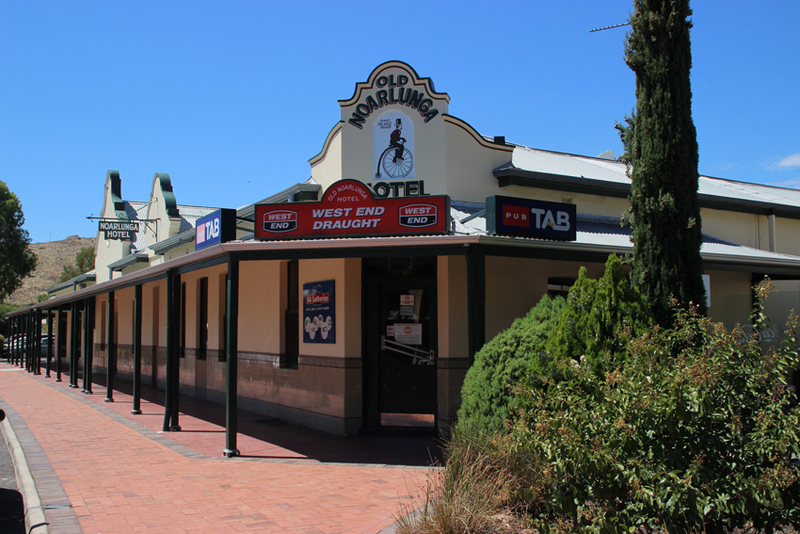 A few hundred meters further up the track there is a side road that leads to The Old Noarlunga Hotel. In the warm weather a drink and lunch are a welcome break before I head back on the other side of the river. As I start to pack away the camera, a flash of grey catches my eye. A large bird flies along the river bank and lands in the trees quite close to where I am standing. Pulling the camera back out, I walk slowly towards the target keeping a large tree in line for cover. 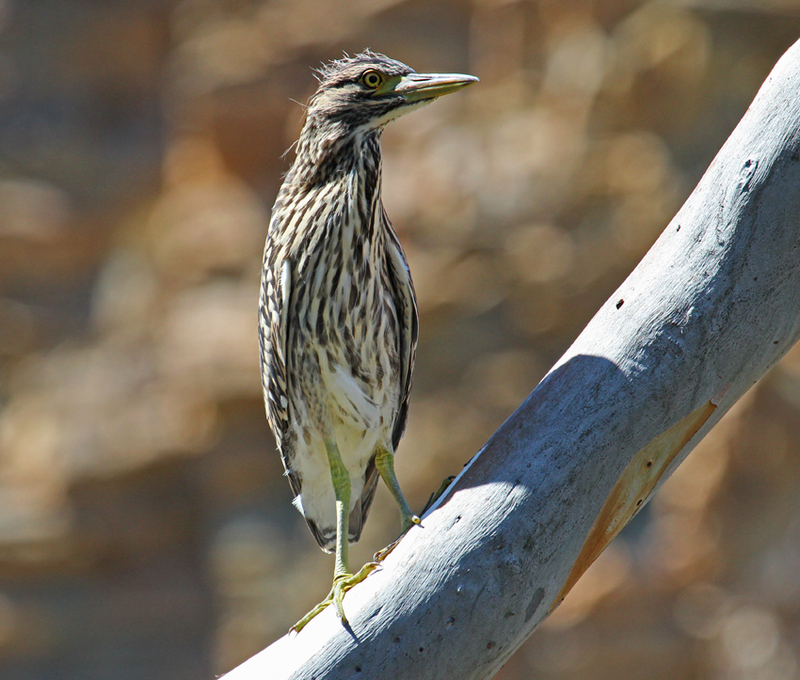 It turns out that the bird is an Australian bittern, a heron-like species that is not often seen in the daylight hours. Half an hour later, refuelled and rehydrated I shoulder arms and head back down to the river to explore the other bank. But that area will be the subject of a future post, perhaps in the springtime, when the character of the river will have changed again.